Russell Eldridge says his Little Common footballers ‘have to be warriors’ as they seek a return to winning ways. The Commoners have lost their last three Southern Combination League Premier Division matches without scoring and have fallen into the bottom five as a result. Two of Common’s next four league games are against teams below them in the table, including the trip to Lancing tomorrow (Saturday). Eldridge is 50-50 with a groin problem and Kane Penn hopes to recover from the knock he picked up last weekend, while Lewis Parsons, James Maynard and Toby Clifford are definitely out. Adam Smith hoped to return to training this week. The Commoners’ winless run in all competitions grew to six matches after last weekend’s 3-0 defeat at home to Broadbridge Heath - a match in which they missed a penalty at 0-0. 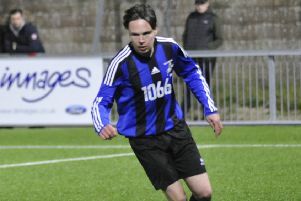 Eldridge said: “Obviously very disappointed to lose a game of football. It’s just the way things seem to be going for us at the moment. We almost need to try and catch a break. “We had opportunities to get ourselves in front with the penalty and unfortunately we missed that. Had that gone in it would’ve given us a bit more belief and put us in the ascendancy for the second half. “One of the last things I said at half time was to keep our concentration for the first 15 minutes. To concede within 30 seconds was extremely disappointing and then you’re in a bit of an uphill battle, especially when you’ve not been getting the results you want. “I thought we passed the ball quite well at the weekend, but we’re getting punished in both boxes. Defensively we’re getting punished for a lack of concentration and we’re finding it difficult to create clearcut chances. “It’s tough and it has been hard work. I don’t think it’s been helped with the injuries and not being able to select from a full squad. “That’s nothing against the players that have been playing because generally the players have been putting in good shifts and good effort. “It’s a tough spell and we have to keep on working and try to be at the top of our game if we’re going to pick up points. “It’s certainly not a time to be desperate and worried, but it’s concerning because we want to be doing better individually and collectively. Common’s first round tie away to Southwick in the Sussex Senior Challenge Cup will take place on Saturday October 13.